34 fantabulously fantastico swirly strands! 35" Wide x 70" Long: Our wonderful heavy-duty acrylic beaded curtains are a perfect addition to any room! Use in the place of regular doors, closet doors, or behind a bed to add height to any room! There are 34 strands on this curtain and all you need is about 5 seconds to hang it! I bought these for my 7 year old daughter for Christmas and she loved them. They came as described and the price wasn't bad either. As several people have commented on this issue, the beads would be nicer if they were longer. That would be the only criticism I could offer. ProsNice color, good price, good quality. ConsCould be longer in length, the can get tangled a bit and shipping took a little longer then expected. I bought two of these for decorating my baby son's room instead of curtains. They've survived his grabby phase, and he continues to love looking at and touching them. I think they're gorgeous. When I was a little girl I used to love going to Wendy's just to look at their pretty bead partitions, which is what inspired this purchase. Simply gorgeous! I hung them outside on our fence and it looks like a fairyland when the sun hits it. 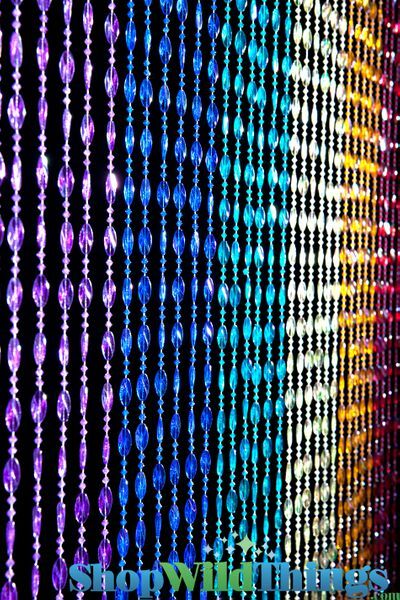 People hang up led lights but you don't have to with these irridescent beads. These are made to look like a rainbow and that is just what they look like. I was so pleased with them that I ordered a pale blue sparkly set to hang in my dining area over the top of lace curtains...beautiful. A teenager is loving these awesome beads. This is my second purchase. these hanging beads are the coolest things ever! beautiful and easy to put up. Everybody loves them! Easy to hang, packaged good for shipping. 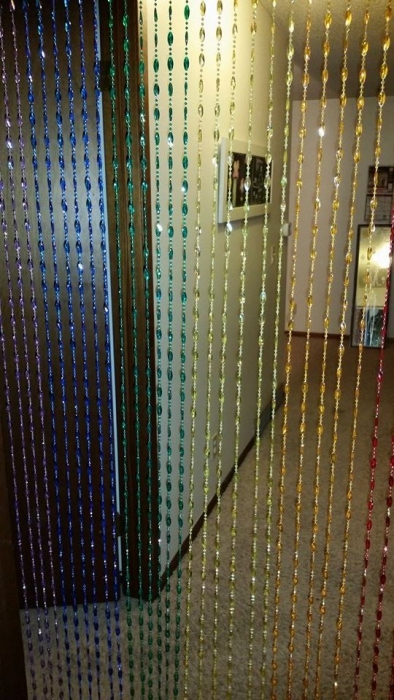 I love my new door way beaded curtain. It's colourful and adds magic to the entrance. The beads don't get tangled which is what I was worried about. So bright and colorful - exactly as pictured! Merchant Response:Hi, thank you so much for your order!! 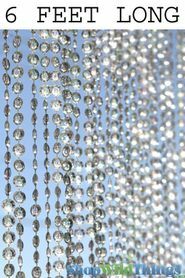 We have instructional videos that will show you how to customize your acrylic beaded curtains with ease. You will find them under the Video Gallery at the bottom of our home page or feel free to give us a call at 928-855-6075 and our wonderful customer service staff will be happy to help with any questions you may have. Thank you for taking the time to share your comments. The colors are wonderful. It was super easy to hang. My daughter loved it. I will be buying more in the future for sure. Great quality. Awesome price. Just what I expected. Daughter loved it! Love your products, will shop here again. Just as described, my grand-daughter loves these beads. i had bought her solid lime green curtains and put these beads up in the center of her two windows as you would shear curtains, it looks great. These arrived really fast too. Daughter is very happy with the beads. Decent quality and fit the doorway very nicely. No negative issues to report. This beaded curtain looks so good in my dining room. ProsThe colors bring out any room in your house. ConsI wish they could make them a little wider. I bought these beads for my 8 yr old granddaughter. She absolutely loves them. The beads are not flimsy. They are nice and bright. Thank you. ProsThe shipping was very good. I received them quickly. Purchased this curtain as a gift for my daughter. She loves them. They arrived quickly and in great condition. They were easy to install. And the beads were nicer than I expected them to be. I would definitely recommend this product and company. By Michael J.P. McKeown Sr.
Exellant service and product ! the curtain was beautiful and colorful. Prosit came ready to hang and was easy to install. 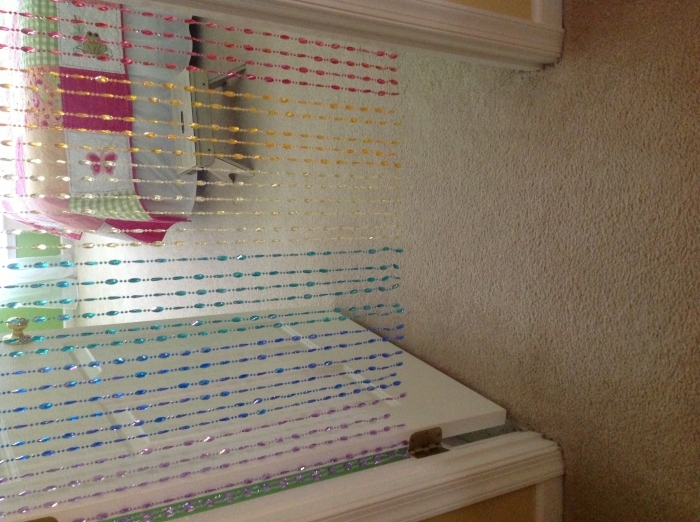 Our granddaughter of 8 years was asking for a curtain, and seemed that the beaded rainbow could be what she wanted. She was jumping up and down and thank you's were gushing. It was a nice doorway size and the colors show a easily enjoyed rainbow. ConsCould be a little longer; but not necessary.